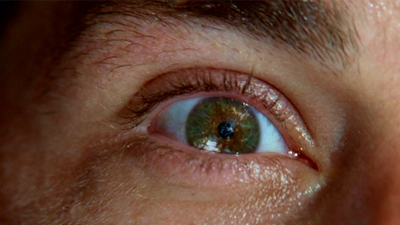 One of the more satisfying aspects of Lost is the inter- and extra-textual nature of the drama. Combing through various websites devoted to unlocking the Lost mystery, you will find countless threads that point to the show’s cultural reflexivity. From characters who bear the names of Enlightenment philosophers and scientists to Biblical prophecies and parables, the mysterious island is a pop-culture marvel with layers of potential clues wrapped inside a diverse and complex array of references. More than this, however, the show has created its own inter-textual framework that reflects the “synergy” of the modern entertainment business and the fertile creative environment fostered by the show. Who can forget “Bad Twin,” the novel that first appeared on Sawyer’s reading list and then at a Barnes & Noble near you? Or the appearance of a Hanso Foundation spokesman on Jimmy Kimmel’s late night talk-show? Or the recent Oceanic Airlines commercial advertisements and hotline? The inter-textuality of the show might be nothing more than red herrings, meant to throw devoted viewers off the scent of the real clues. But there’s always the chance that these clues can unlock the mystery. However, the extra-textual framework of Lost is far more engaging. Over the past three seasons, there have been several winks and nods to pop cultural classics ranging from Planet of the Apes (1968) to The Twilight Zone to Star Trek. Many of these references take their shape as throw-away lines of dialogue. Sawyer’s cache of nicknames for the castaways represents the clearest example of pop cultural purging. 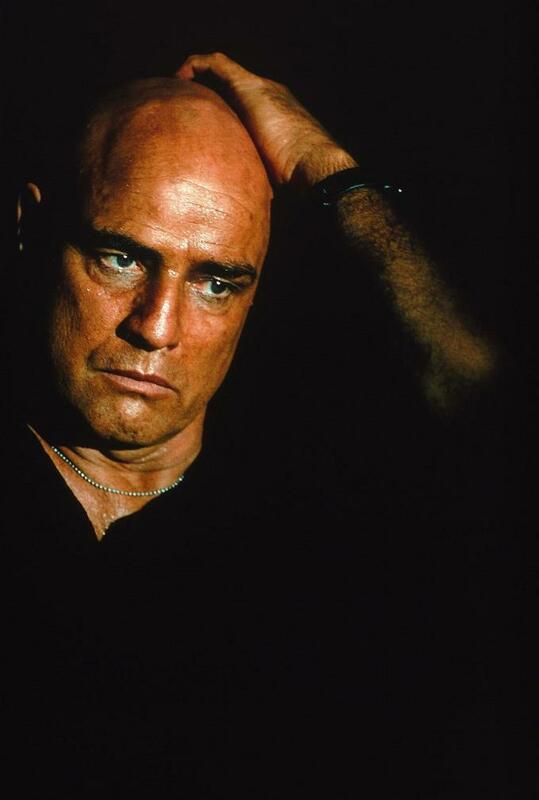 One of the more inspired handles comes from the most recent episode, “Confirmed Dead,” where he calls Locke, Colonel Kurtz (of Apocalypse Now, as if you needed me to tell you that). Clever. “Confirmed Dead” also introduces a new group of people, who — for now anyways — don’t have a catchy handle like The Others, but represent those who might or might not be on the island to rescue the castaways. Each new character is introduced via flashback, where we learn that one is an alcoholic pilot, one is a certifiable ghostbuster (yet another reference! ), one is a physicist who doesn’t like to be pigeonholed into occupations, and one is a cultural anthropologist. The introduction of Charlotte, the anthropologist, is a highlight of the entire series, at least for this critic. 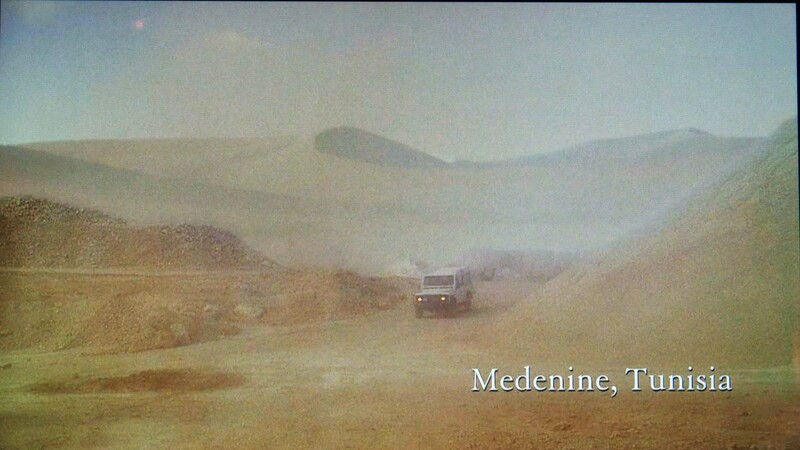 Out of the swirling winds of the Tunisian desert, a Sport Utility Vehicle drives into the foreground of the shot. 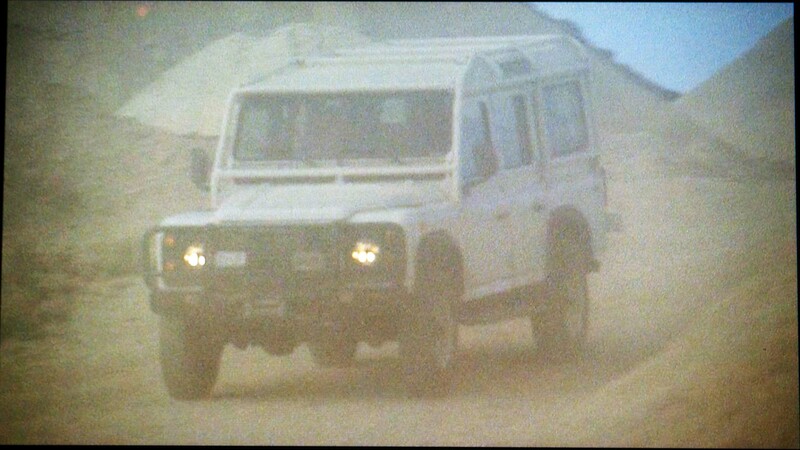 Charlotte exits the vehicle with her translator in tow and begins to survey what appears to an archaeological dig site. Charlotte asks the local official to explain the situation, which is translated into French by her assistant, and the official’s answer is translated back into English for Charlotte and the English-speaking audience. (It remains to be seen why Charlotte requires a translator, since she is seen reading a French newspaper). As the characters approach the dig site, Michael Giacchino’s music swells with the orchestral portent usually reserved for large-scale screen epics. It’s a scene out of Steven Spielberg’s Close Encounters of the Third Kind. In fact, it’s the very first scene of the film, when a group of American scientists arrive in the Sorona Desert to investigate the appearance of World War II era aircraft in the desert. The film’s first line of dialogue is a small bit of genius by Spielberg (who is credited with writing the screenplay). One of the scientists asks, “Are we first? Are we the first to arrive here?” Not only are they the first to arrive, but they will be among the first to communicate with an alien culture. Close Encounters is structured on the mystery of the aliens. Their benevolence is at first obscured by the fact that they violently kidnap Barry from his mother. Only until the final communication scene does it become clear that their motives were never malevolent. Until then, however, the mystery of their presence guides the characters and the audience through the film. Several questions are posed: why did the aliens choose to “imprint” specific characters with the image of Devil’s Tower? What are the motives of the aliens? Why is the government concerned with covering up the alien encounter? Like Lost, Close Encounters poses a series of questions that relate to existence, time, space and place. The two share an elemental question: who/what brought together such a diverse group of people to the same place? In Close Encounters, the resolution is intentionally bright and hopeful. To the dismay of some critics, the communion between humankind and aliens is one of education and compassion. Charlotte is drawn to the dig site by some unknown force, but remains convinced that her pursuits mean something and are important. She stares at the French newspaper that announces the discovery of Oceanic 815, and we are immediately reminded of the discovery of the military aircraft in the Sonora Desert in Close Encounters. As the opening scene in Close Encounters unfolds, Spielberg keeps his camera moving along a fence that bisects the action. 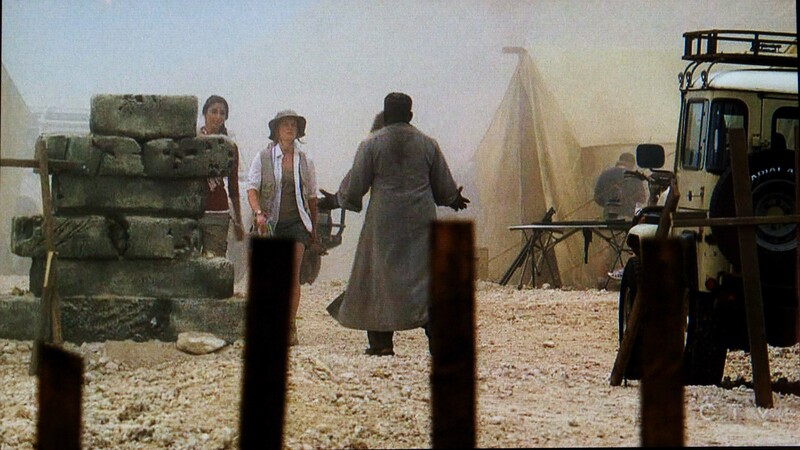 Notice that this scene in “Confirmed Dead” mirrors this camera move down to the rickety fence. Of course, the most important allusion here is the use of language and translation, one of the more striking themes of Spielberg’s film. Ultimately, communication is achieved musically, and human speech is rendered an inadequate form of conversation. During the dig, Michael Giacchino’s score mimics the orchestral weight of John Williams’ music for Close Encounters. Compared to his usual sound for Lost, this brief moment sounds out of place, since it represents an allusion to another composer. Once upon a time, Spielberg was derided for his reliance on allusions to bygone eras of Hollywood film history. Early critics of the bearded-one felt it was their duty to inform audiences that he mimicked the shooting styles of Lean, Ford, and Hitchcock with no attempt to find his own authorial voice. Now, thirty years later, the stylistic and thematic textures of Close Encounters have been cribbed by television’s most enigmatic show. It represents a fleeting moment in the show’s larger arc, but it is by no means unimportant. Hollywood allusion asks not “Are we the first?” but instead insists on a complex, interwoven, and cyclical relationship between texts. As viewers, we can pride ourselves on catching them all, but the journey to the end of Lost provides much more than that. There is the hope that the show is smart enough and conscious enough of its own reflexivity to tie it all together. 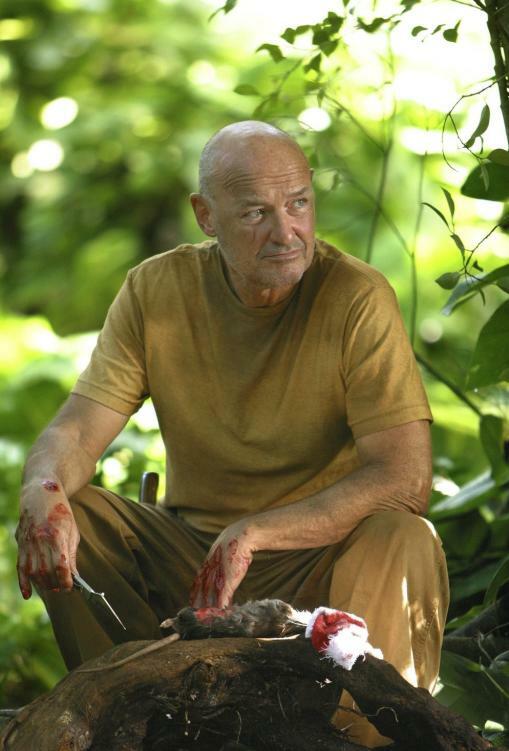 Please feel free to share your own favorite Lost allusions.